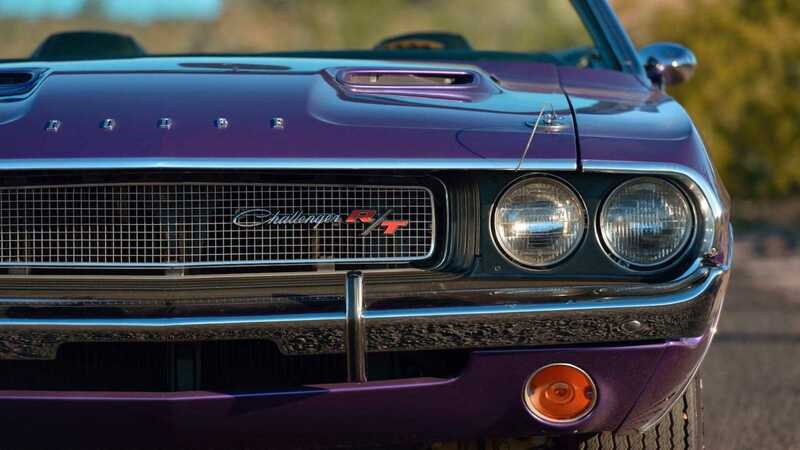 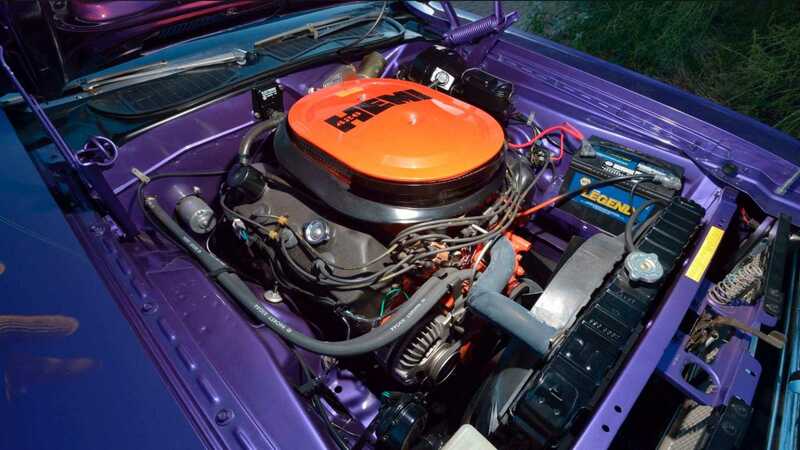 Hemi powered and painted in Plum Crazy Purple, this Mopar muscle car is a once-in-a-lifetime find. 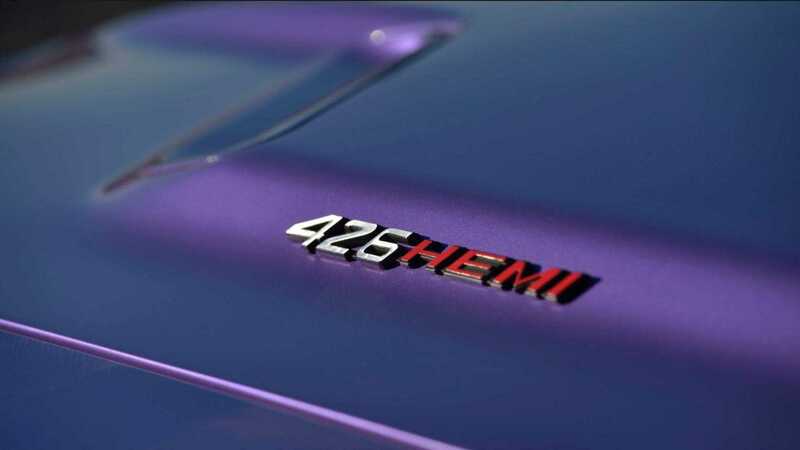 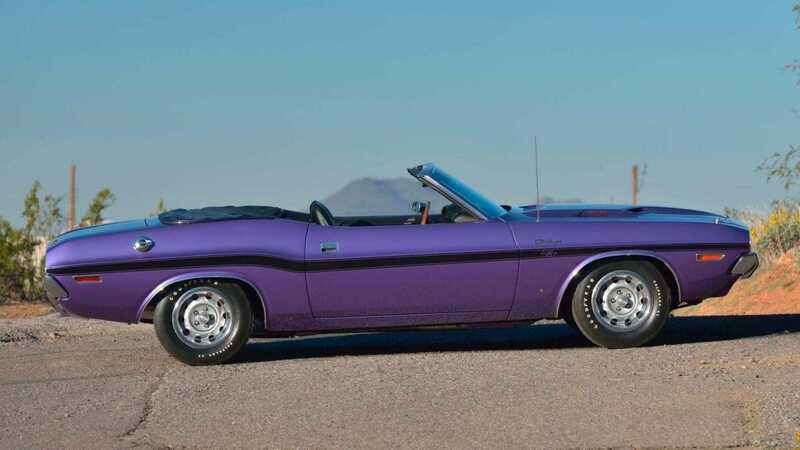 This Hemi powered beast is one of only five Challenger R/T convertibles with a 426 engine made in 1970. 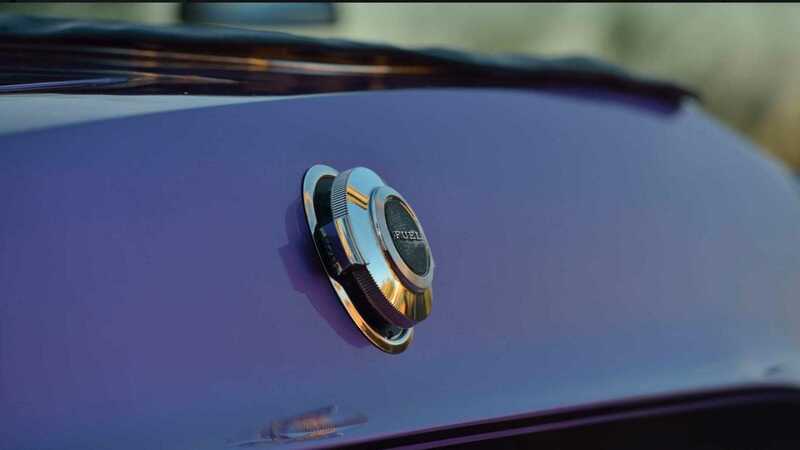 Thanks to its options, including the color it wears, it’s even more exclusive. 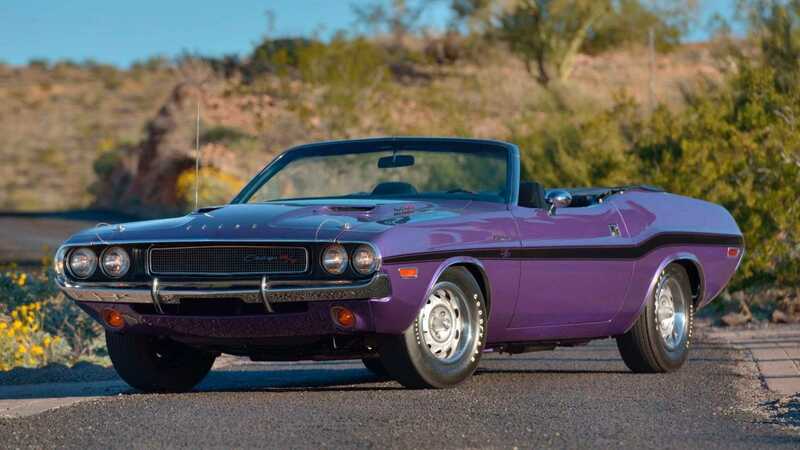 Now, it’s crossing Mecum's auction block in Phoenix, AZ come March and it could cause a Mopar enthusiast bidding frenzy. 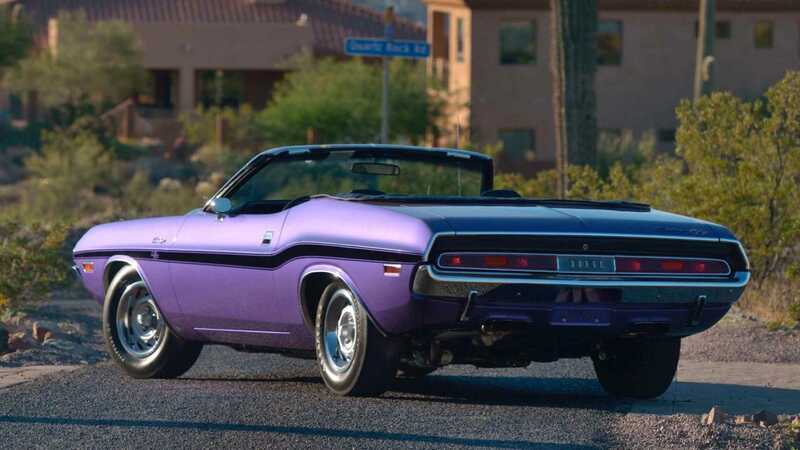 A little late to the muscle car game, Dodge debuted the Challenger in 1970 - slated to compete with the Chevy Camaro and Ford Mustang. 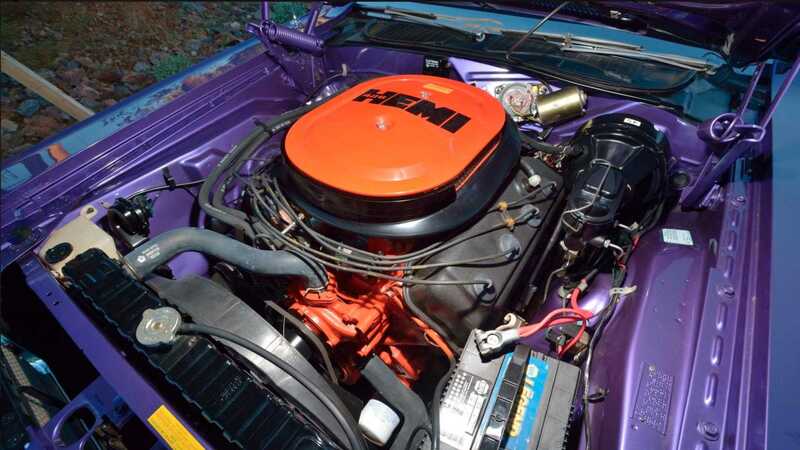 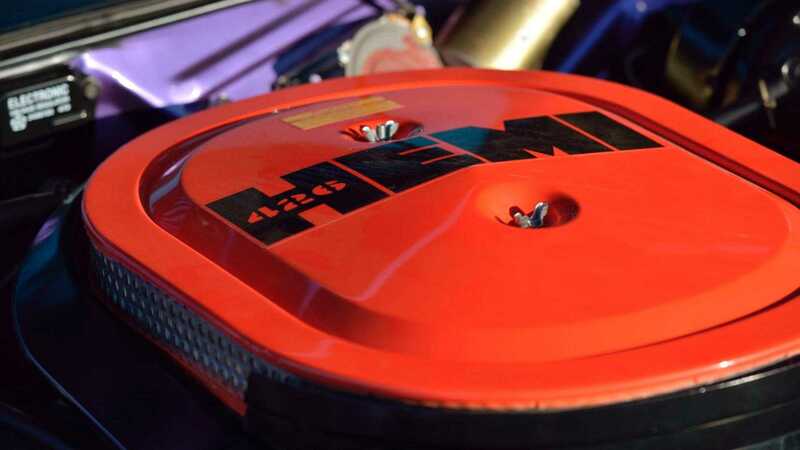 In order to stand with the already established muscle cars, the R/T trim package was fully loaded and included the beefy Hemi 426ci engine, backed by a A833 four-speed transmission, and has the A34 Super Track Pak option. 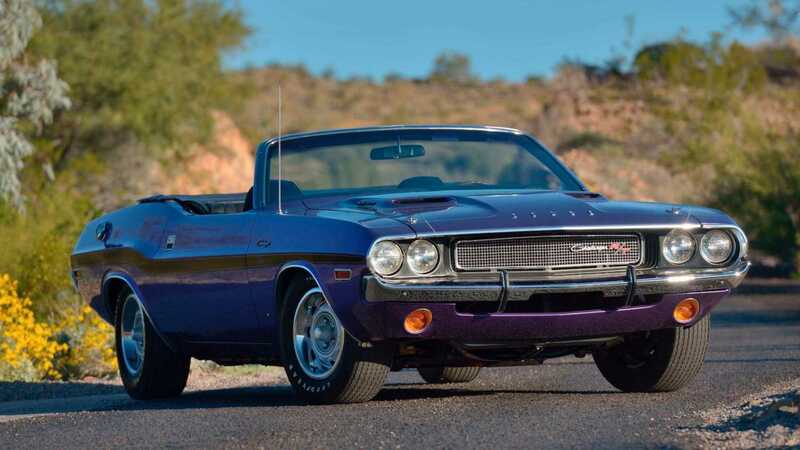 Only five convertibles optioned this way actually made it out of the Hamtramck “Dodge Main” assembly line, and the following year, the R/T package was discontinued for the convertible Challenger. 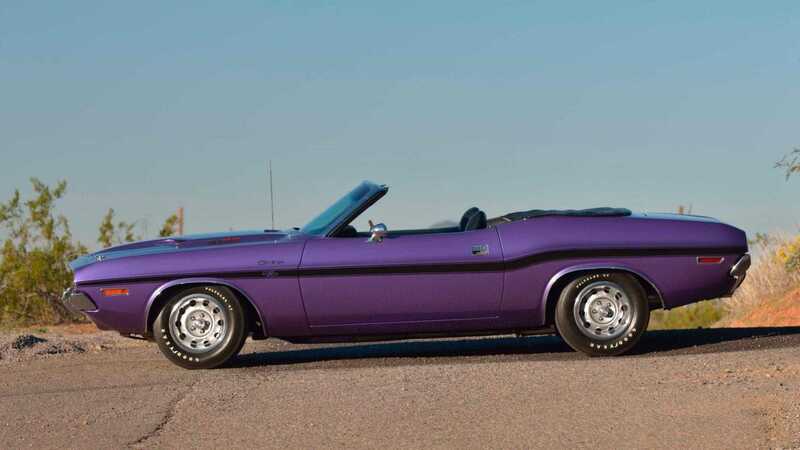 Of the five 1970 Dodge Hemi Challenger R/T convertibles manufactured with a factory four-speed and Super Track Pak, this one was painted in Plum Crazy Purple - which is possibly the only one. 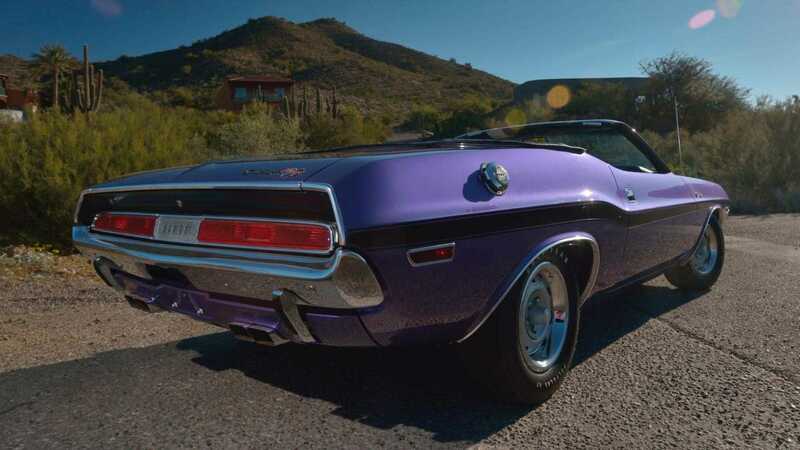 The Challenger also came from the factory with a R/T longitudinal stripe in black, matching its top and interior, and it rolls on 15 inch wheels that are wrapped in F60-15 Goodyear Polyglas GT tires. 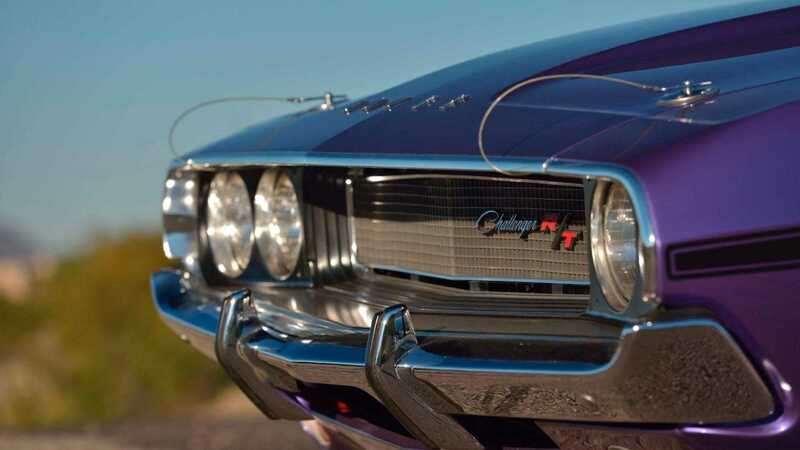 J45 hood pins hold down the sport hood with 426 Hemi plates, and chrome bumpers, driver’s side mirror, and exhaust tips add even more flash car’s exterior. 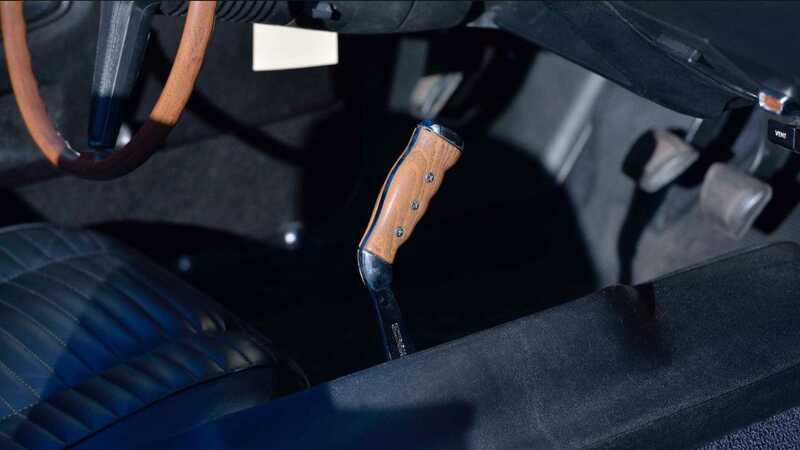 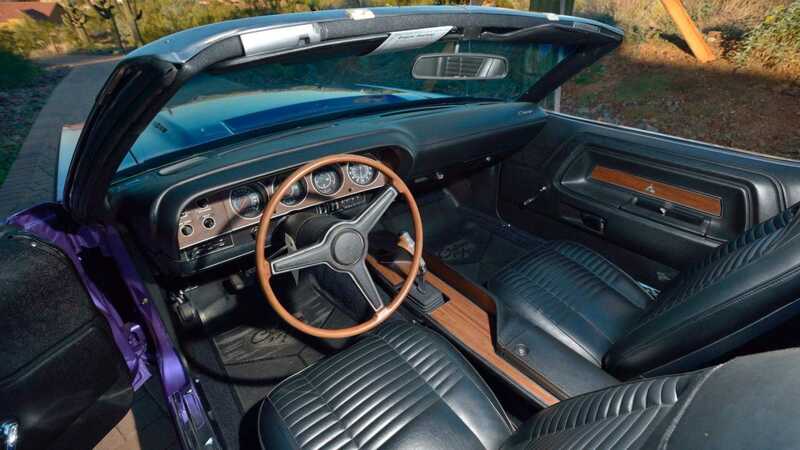 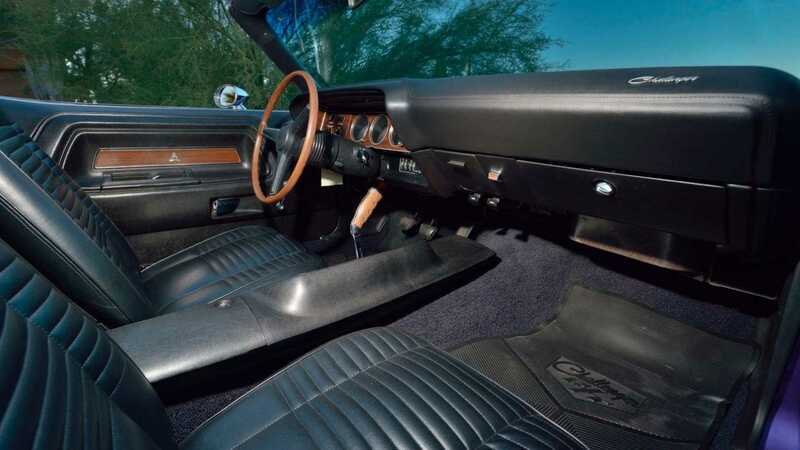 Ribbed black vinyl front bucket seats, a center console with factory Hurst Pistol Grip shifter, and woodgrain trim are found in the car’s cabin - the original owner also opted for the factory option AM/FM radio. 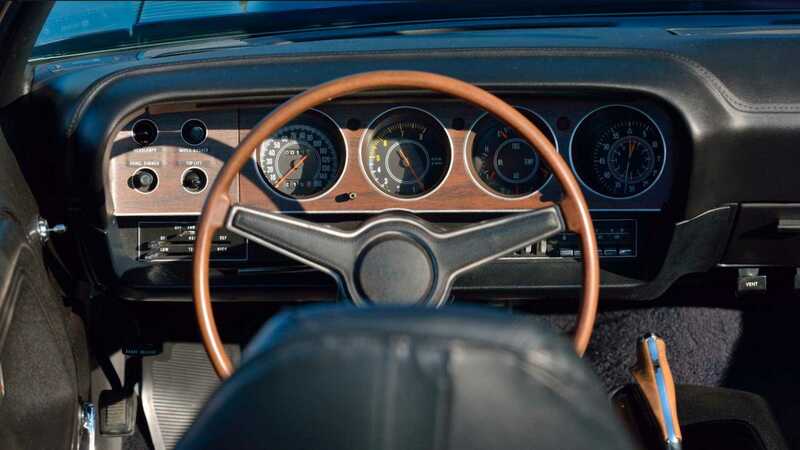 The Challenger was exported to England in 1976 by Peter Kevin Jordan, then to Sweden, before making its way home to the US in the 1990s. 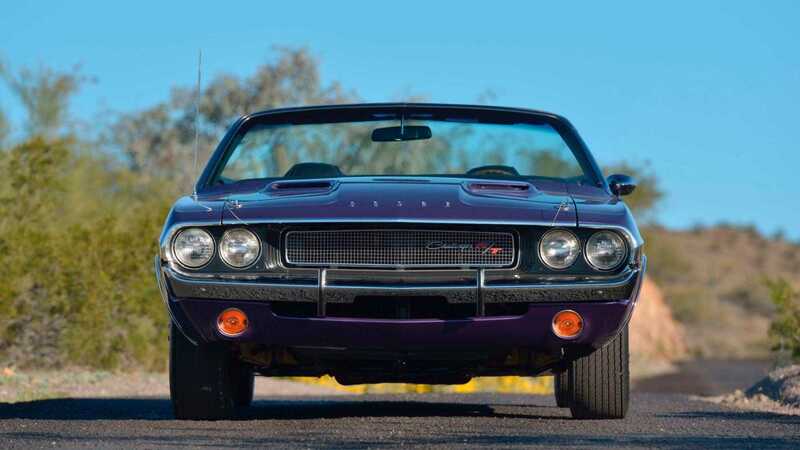 This Plum Crazy Purple ‘vert will be looking for a new home in Glendale, Arizona during Mecum's March 14-16 event.